Finca Impact Finance, a global network of 20 community-based microfinance institutions and banks, has gone live with Finastra’s Fusion Risk for regulatory compliance and reporting needs. This selection aims to keep up with the requirements in the International Financial Reporting Standard 9 (IFRS9). “We needed a solution that would allow us to comply with regulatory requirements and manage the efficiency and profitability of our lending business around the globe”, says Roman Hingorani, Finca Impact Finance’s vice-president and CFO. Finca also hopes that Fusion Risk optimises the bank’s day-to-day operations and makes its lending business more efficient and profitable. 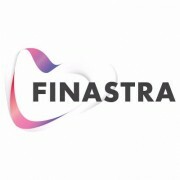 Finastra’s system was implemented in partnership with Neoflex, a Russian IT services company.